A single bottle of Laurent Perrier La Cuvee Champagne 75cl 75cl and a single strip of fine Hand Made Heart Truffles(100g) Presented in a wooden gift box with sliding lid and lined with wood wool with a Gift Card for your personal message. 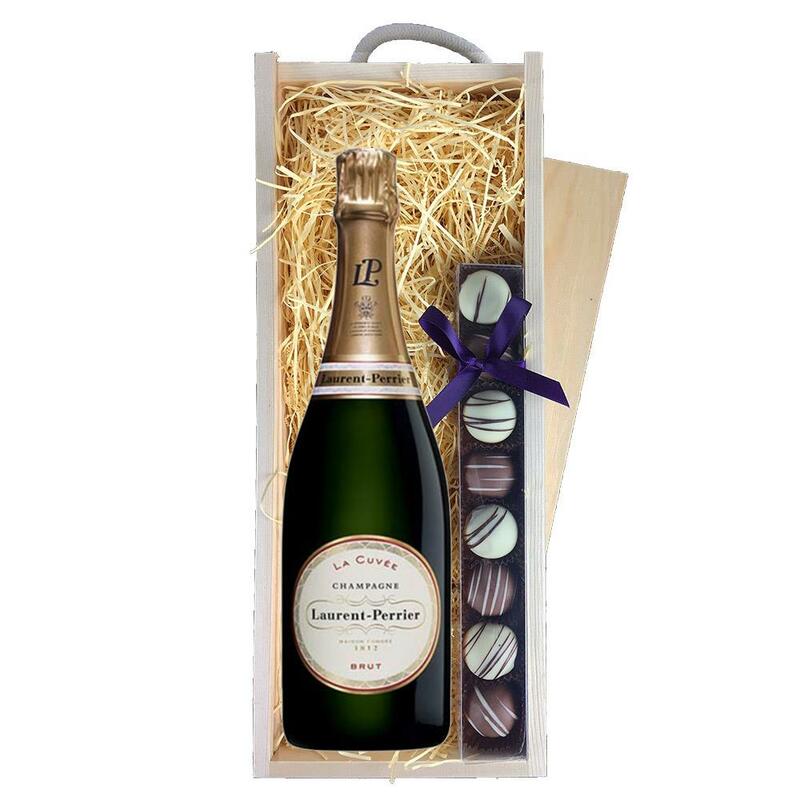 Laurent Perrier La Cuvee Champagne bottle Gift Boxed Gold in colour with fine and persistent bubbles. Delicate and fresh aromas with good complexity and notes of citrus and with fruit. Fresh and supple upon entry with rounded and expressive flavours from which the fruit progressively emerges. Good balance and length. La Cuvee L-Ps fresh and elegant style has been a major factor in the success of champagne as an apritif.? Chardonnay 55 Pinot Noir 35 Pinot Meunier 10. Sending a bottle Laurent Perrier Champagne makes any gift really special . This product is hand packed onsite by Bottled and Boxed, and is not affiliated with any other brand. Bottled and Boxed is responsible for this product combination/set.